Big rig truck rolls down the highway. Trucker gives the all clear when a black unmarked SUV pulls alongside. The drivers acknowledge each other and the SUV takes point. Before long, the SUV flies off the road. The trucker panics and calls dispatch. This is an undercover SHIELD convoy. The trucker, Agent Mack, changes route and a secondary SUV moves up to take point. The second SUV is flung off the road moments before the big rig levitates in the air. Agent Mack cannot explain the attack when the big rig crashes to the ground. A team of soldiers board the truck to find Dr. Franklin Hall. HIt the jump to continue reading but beware spoiler ahead. Agent Ward has begun his training with Skye. Skye resists Ward’s training. Ward advises of a defining moment but is unwilling to share his. Skye jokes about getting more truth serum, but Ward deflected it as a “Level One Overshare”. Ward claims SHIELD has no truth serum, but before Skye can push for more, May calls for a briefing. Coulson reveals the mission. The convoy that was hit was carrying a SHIELD asset in the form of physicist Dr. Franklin Hall. Fitz and Simmons are worried because Hall had been one of their instructors in SHIELD training. The team arrives at the scene of the hijacking to discover one of the SUVs lodged into a tree and the big rig wreckage. After confirming Agent Mack’s lack of knowledge, Simmons discovers an object which when accidentally activated created a null gravity zone. Coulson thinks that there might have been a leak in SHIELD. After tracking an excavator that was used in the hijacking, Coulson discovers the person behind Hall’s kidnapping: Ian Quinn, CEO of Quinn Worldwide. In Malta, Quinn greets Hall warmly. Quinn and Hall have a history of working together. Hall recognizes that Quinn chose Malta for its anti-SHIELD policies, but Quinn points out that the underground facility is the real reason he chose that location. Then, he provides Hall with a device matching the one Simmons found. Meanwhile, Fitz and Simmons info dump the gravity-distorting Gravitonium theorized by Hall who went to school with Ian Quinn. Ian Quinn has created a full-scale Gravitonium generator and has kidnapped Dr. Hall to help in harness the power properly. Quinn’s facility is well-protected, and due to Malta’s policies, a SHIELD-sanctioned operation would be impossible. Skye volunteers to act as an inside man in the operation after she uses her Rising Tide connections to obtain an invitation. Ward still doesn’t fully trust Skye’s commitment as a SHIELD operative. After consulting Coulson, Ward reveals his defining moment during a training session. Coulson covers the plan: Skye goes in and disables the laser grid, two-man extraction team (Ward and Coulson) retrieves Skye and Dr. Hall. Skye introduces herself to Quinn. Impressed by her hacking skills, Quinn offers her a job. During his speech, Skye slips away and begins to search the grounds for a computer to access. Quinn discovers Skye, but before he calls security, she reveals that SHIELD is listening. Skye disables her communicator. Meanwhile, Coulson and Ward await Skye. Skye continues to flirt with Quinn until she is able to activate the wireless relay hidden in her compact. Coulson and Ward are in, but now Skye has been exposed. Quinn holds her at gunpoint. 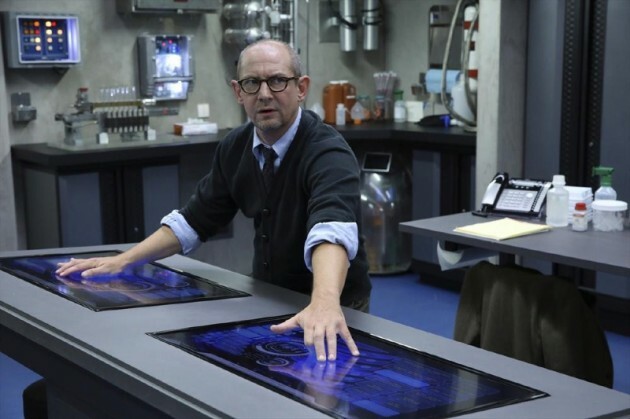 Coulson arrives in the lab to rescue Dr. Hall, but Hall refuses to leave. Coulson discovers that Hall was the mole. Hall plans to use the Gravitonium generator to sink the facility and everyone on it to protect against its use. Before Coulson can talk Hall down, Hall activates the device. Coulson awakes on the ceiling. Franklin explains he is attempting to protect the world from Quinn’s greed as gravity shifts around them. Meanwhile, Skye manages to escape from Quinn using Ward’s training. Coulson manages to cut power to the generator, but a catalyst would be necessary to shut down the process. Hall’s reserve is unbending so Coulson makes the hard call and shoots the window separating the pair from the generator. Due to the shifted gravity, Hall falls through the window into the generator. He is absorbed into the core before it shuts down. 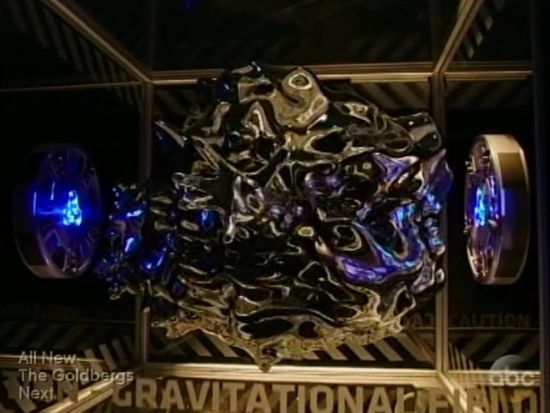 Coulson sends the Gravitonium to an unmarked safe in the lowest level of the Fridge: unregistered and forgotten. May requests combat after being stuck on the Bus. After revealing a glimpse of her past as a foster child, Skye admits to Ward her commitment to SHIELD. In the deepest level of the fridge, the Gravitonium blob is loaded into a safe. Inside, the Gravitonium continues to pulse. A hand pushes out of the blob and the retreats back in.